VIS USA engineers and technicians are experts in surveying, analyzing and troubleshooting conveyor belt systems, and are experts in application designs and maintenance aspects. VIS USA engineering is called upon when belt system performance is critical, such as i.e. a belt conveyor concept for Air Force One (click for more info). Give us a call or drop us an e-mail. 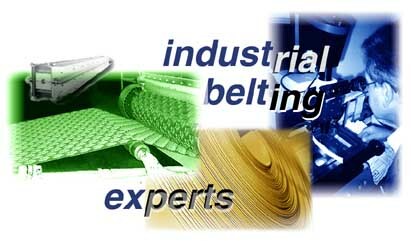 Our belting experts are happy to assist you. Quick Summary: VIS USA is known for flat power transmission belts, conveyor belts, belt fabrication tools, belt application engineering, belt service and industrial belting in general. We offer belting products that include rubber covered belts, leather belts, textile belts (tangential belts, rotor belts and spindle tapes), linatex covered belts, feeder belts, vacuum belts, transport belts, processing belts, round belts, machine tapes, folder gluer belts and other drive belts. Additional products include European style conveyor belts with NBR, EPDM, Urethane, PVC and other covers, some of them food grade. Most conveyor belts have a monofilament carcass, and many can be ordered perforated, with cleats or v-guides attached, or with other special finishes. We service the material handling, food, metal, woodworking, textile, fitness, packaging, graphics, printing, paper and paper converting industries, to name a few. Finally, we offer woven endless or seamless belts, timing belts, and all kinds of belt fabrication tools like watercooled presses, skivers, splitters, finger punchers, presses, slitters, etc. Use the 'Site Map' button to jump directly to any page on this web site. and by using one of the two most popular browsers listed below. Click on the logo to start downloading the FREE browser of your choice.